The theme for October is: Be Kind, Rewind. Hold on to your heartstrings, astro babes! Venus stations retrograde this month, and you can expect to be in your feelings both present and past, since retrogrades remind us of where we’ve been and what we haven’t yet mastered. Exes may come out of the woodwork to test your boundaries, emotions you thought you dealt with may come back to remind you there’s still work to do, and relationship issues may require further examination before things can truly move forward. Basically, this month will be a lot of review and reevaluation, especially in the areas of partnership, feels, and—everyone’s favorite—karma. Remember to breathe, pause, and give yourself a little time before you act. You’re where you’re at for a reason, so take extra care before skipping back into old ways (or people). What can you do differently to avoid repeating the same patterns over and over again? Level up! The Universe is rooting for you. It’s your time to sparkle, beauty babe! Libra season is generally great for everyone (congrats on being the most likable sign of the zodiac), but it’s especially magical for you. A new moon in your sign on October 8th paired with Venus newly retrograde in Scorpio presents you with an opportunity to really examine what’s been working for you, and what hasn’t—especially in regards to how you relate to others. 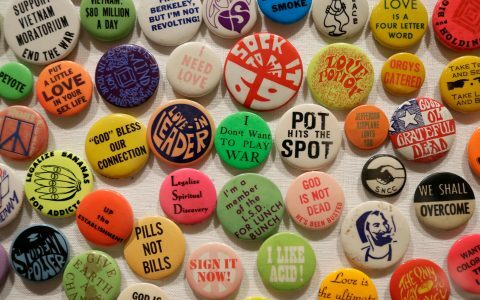 You’ll finally be able to make some decisions on how to move forward, which is great news for your usually hella indecisive self. Don’t expect to make it through this month untested, however. Let’s be real, at times it could feel as though you’re starring in “Attack of the Killer Exes.” Let go of those old fears (and folks) that’ve been holding you back from your most radiant self, and get ready to shine, shine, shine! October Strain: Much like you, Libra, this month’s recommended strain is gorgeous and widely sought after. Your flower power is derived from a Libra power flower. Lavender, the color and plant, holds mystical properties for your sign helping to create the much-needed serenity that keeps your scales in balance. 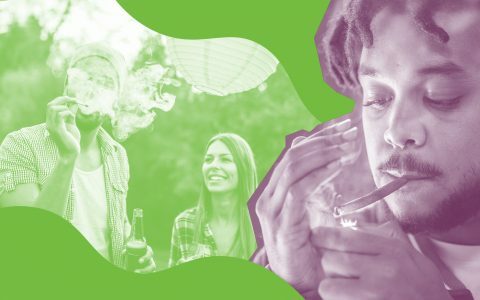 Lavender, the indica strain, tastes like its namesake with a spicy finish, and promotes upbeat euphoria—the perfect mental state for this month’s party perfection and interpersonal challenges. Venus stations retrograde in your sign for the majority of the month, so brace yourself for ghosts of relationships past. You’re going to be bear the brunt of this planetary shift and the feelings could be tough to handle. The good news is that Mercury enters your sign on October 9th. 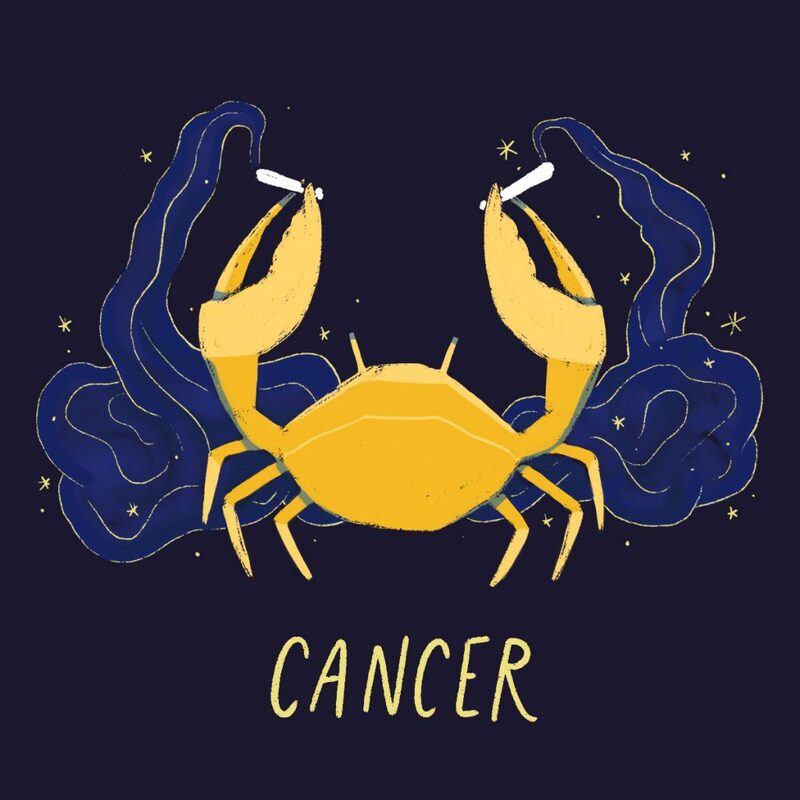 At the very least, you will be well-equipped with the communication skills needed to navigate your way through the emo slog of Venus retrograde. The best advice for you this month is express yourself! Be clear about your boundaries and needs. The message will be heard (and received) loud and clear. October Strain: You’ve got the skills to protect yourself, ya lil’ stinger. But try a strong and informed bark before you resort to your bite. 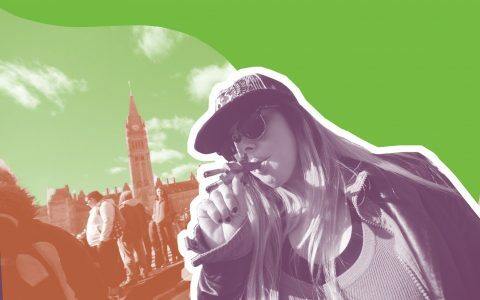 Lucky Charms, a hybrid as sweet as its name implies, produces a happy uplifting buzz that should serve as a barrier between you and the bad energy of exes past. Lucky Charms also promotes a relaxed euphoria, so inhale deeply if you feel the need to swing that deadly tail in the potentially wrong direction. The retrospective and reassessing nature of October will really ignite your passion for investigation and information, Archer. This month’s Venus retrograde gives you an opportunity to clear the clutter so you can set your sights on what it is you are committed to manifesting in your life. The freedom and space you desire is only possible with laser-like focus, intention, and determination. Lucky for you, when you finally land on what sets your heart on fire, this is an easy task. Let the airy nature of Libra season stoke those flames so your arrow flies straight and strong into whatever you’re ready to bring into being. Steady now. 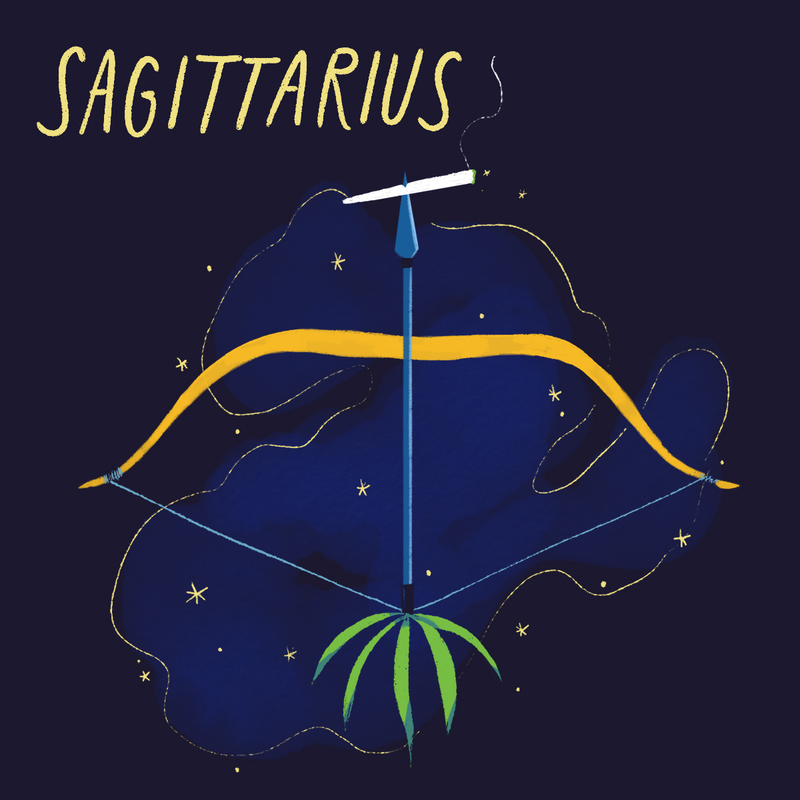 October Strain: Follow the lead of your Sagittarian soul smoker, Jimi Hendrix, and look to sativa Purple Haze for the fiery focus this month requires. Purple (an Archer power color) buds and a sweet, earthy taste may be the first thing you note about this strain. But its ability to awaken artistic and open thoughts, while keeping you energized all day, will enhance your ability to manifest creativity and clarity. Saturn, your ruling planet as well as the planet of responsibility and all things grown-up, has been in your sign since the end of 2017 and will remain here through 2020. This placement should help you move through October’s Venus retrograde with ease and favor. You were born to “make it work,” and all of this restructuring, sorting, decision-making, and clarifying will scratch your industrious itch. Don’t be surprised if your evenness radiates out like a beacon of hope to the more pressed signs around you this month. Enjoy your moment of adoration before everyone goes back to referring to you as the steady, predictable one. Little do they know, you’ll be the last one standing if everything falls apart, so joke’s on them. October Strain: Silver Kush is a magical strain. This month requires the clarity to push through while slightly altering perceptions to view old tasks, people, and problems through a newly-formed lens. Grounding notes of earth, citrus, and lemon will provide the even keel you need to navigate October. 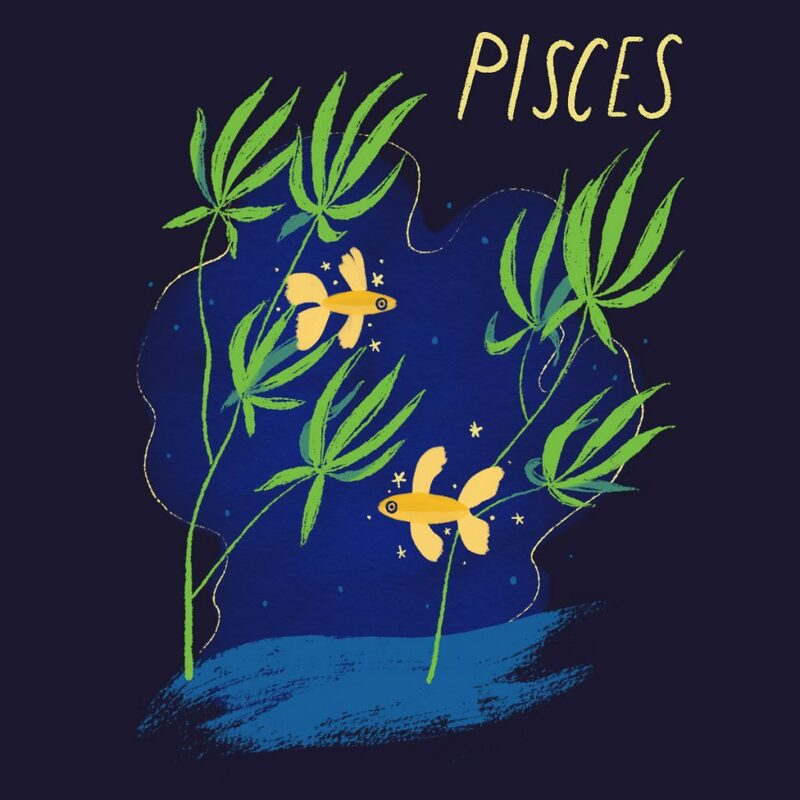 Your airy and inquisitive nature will be to your advantage this month, as Venus retrograde has you taking a microscope to the reality of your relationships and what behaviors you have agreed to that may not actually be serving you. All of this work can be kind of a bummer to your carefree way of relating, but it’s necessary nonetheless. You love to keep a cool distance, but your ride-or-die(s) might be needing you to be more present, committed. What’s more important to you? Freedom at all costs or real love and intimacy? Lean in to your curiosity on this one, the answer’s there. October Strain: What a drag it is getting old. The keys to figuring out the mysteries this month presents require you to be energetic, happy, focused, creative, and most importantly, talkative. Mother’s Helper, a hybrid of Northern Lights #5 and Chocolope, is an earthy and sweet strain delivering potent THC without couchlock or fogginess. You’ll also find it lives up to its name as Mother Nature’s natural helper, effectively combating migraines and anxiety. Venus retrograde in fellow water sign Scorpio means that October will bring with it an ocean of feels. Meditate on the word “sacrifice” this month. What is it you consistently give up in your relationships in an effort to feel loved or wanted? What parts of yourself are crying out for attention? You won’t be able to avoid discomfort this month, so you may as well dive deep. Spoiler alert, when you actively hide aspects of yourself from others, everyone loses. Trust your wise and beautiful intuition. Now is the time to experience a fuller expression of love and connection, but you need to swim out past the shallows to really receive. October Strain: To push through anxiety and depression with an open mind, an energetic, balanced hybrid is just what the universe prescribes. Agent Orange combines the smoothness of Orange Velvet and boldness of Jack the Ripper, tastes like a citrus heavy sherbet and is one of the most vividly colored buds you’re bound to meet. It’s the tasty, beautiful boost your October requires. As this month begins, you’re still riding the wave of late September’s full moon in your sign, and your productivity is on fire. Your cockiness, err I mean confidence, could be your downfall this month if you rely too heavily on it, however. It’s important to swallow your pride and set free the behaviors and people who are no longer working for you with the new moon on October 8th. Beware of that inner voice telling you that you don’t really need to do the work. Surprise! Yes, you do. Pay attention to what’s coming back up for you this month. It’s not there just to ruin your fun. 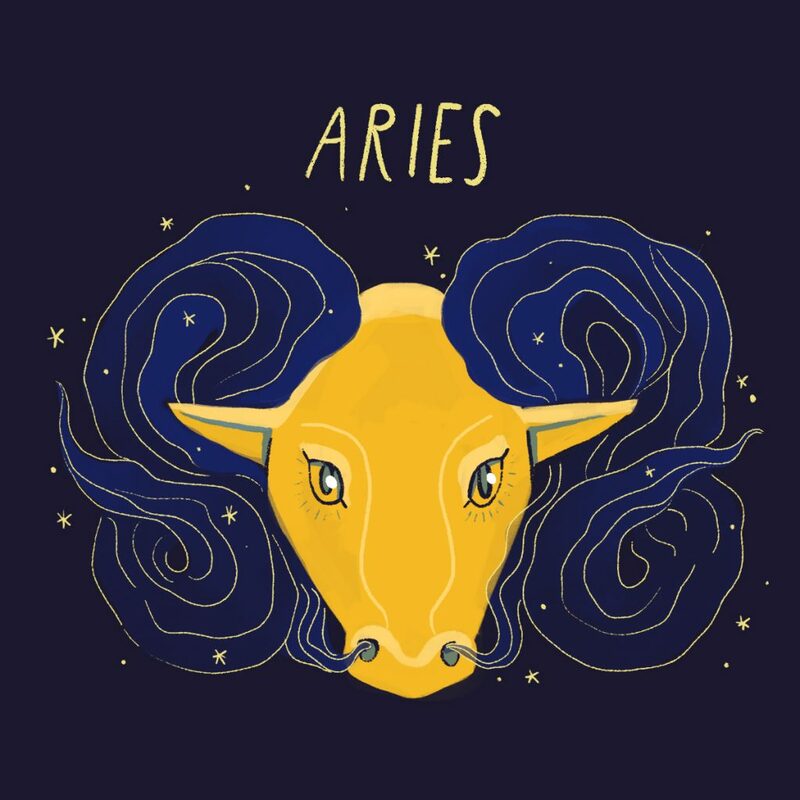 October Strain: Doing the hard work while managing your ego and level headedness is a difficult tightrope to walk for naturally hot-running Aries. The phrase “When you know yourself, you’re empowered. When you accept yourself, you’re invincible” is one to keep in mind as fall forges ahead. Grapefruit, with its fiery red hairs and decadently delicious, sweet grapefruit flavor, opens your mind while promoting positive motivation. Your need for comfort across all areas of your life will be tested this month, as your ruling planet Venus stations retrograde and it feels as though everyone is upset with you. Your boss, your bae, your friends, your family, your dog. Maybe even Siri. Don’t panic! It might not all be about you. Everyone’s going through it. 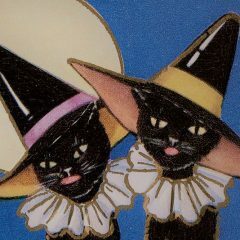 Things feel like they’re hitting a climax around the full moon on October 24th, but thank the Universe, this full moon is in your sign, so you get a little cosmic help when it’s needed the most. Let your folks voice their grudges against you. They need to get them off their chests and you need to hear them so you all can move forward with greater clarity and a clean slate. October Strain: Expect all your stress buttons to be pushed this month, my bullheaded friend. Accepting criticism, even when warranted, is not a Taurean’s cup of tea. For adjusting your mindset, you need a reliable, potent go-to, and White Widow, a Dutch-hybrid favored since the ‘90s is it. Earthy and sweet with an unmistakable odor, its uplifting tendencies push your ears open and encourage communication with a positive, receptive mood. 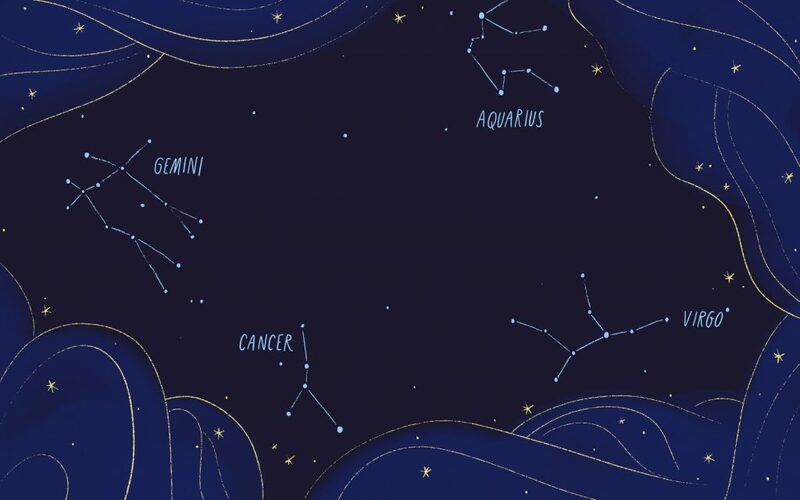 With your ruling planet Mercury moving into an emotional water sign, and relationship-oriented Venus stationing retrograde (also in a water sign), this month is all about consequences, consequences. Your wishy-washy behaviors from the last few months (years, lifetimes) are going to catch up to you in October and—depending on how you respond—it could either be a great opportunity for growth and transformation or it could be a hot, hot mess. The choice is yours, Twinstar. 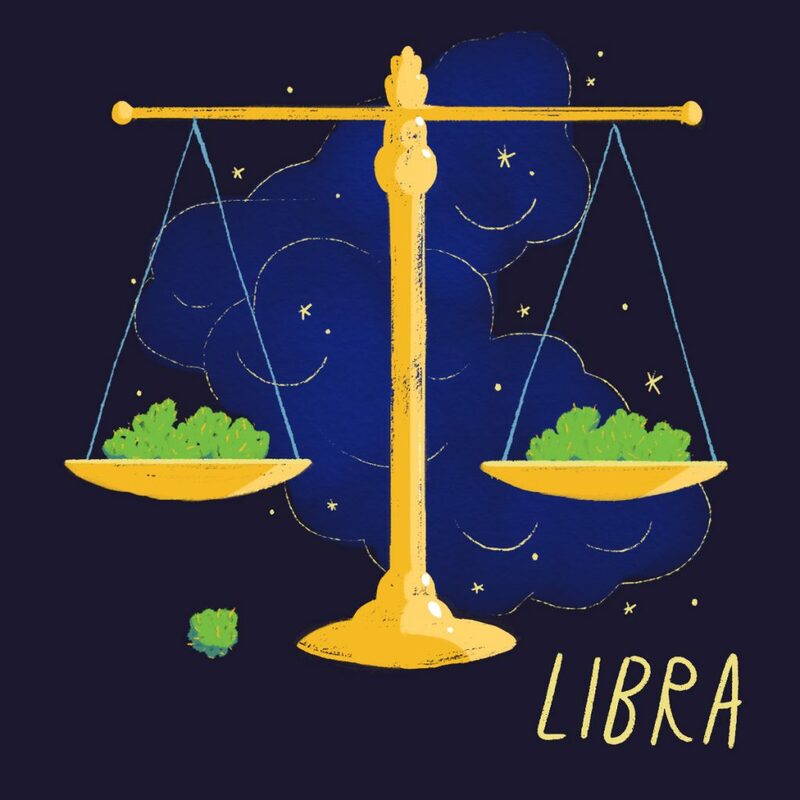 Libra season is traditionally super kind to you, and all of that charming, airy energy swirling about could help you to smooth over even the most prickly situations with flirty success. Be clear with your intentions and you’ll prove you’re worthy of forgiveness. 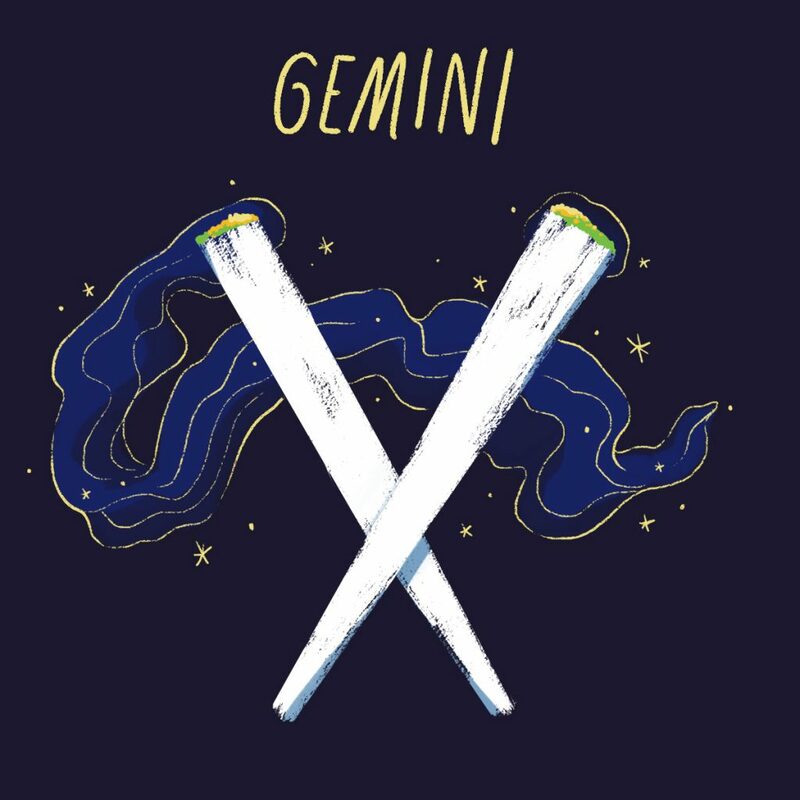 October Strain: Balancing your natural duality with the consequences of your actions presents a challenging autumn task for Geminis. Critical Jack, a hybrid of Jack Herer and Critical Plus, should properly arm you for battle with karma as it promotes functional cerebral effects with attention to detail and uplifting energy. For a subtle smoking experience, it’s also unmistakably dank, giving Critical Jack pleasant duality all its own. Water, water everywhere. You’ll be in your emotional element in October, but remember, you can’t expect to love anyone else if you can’t love yourself first. Not successfully anyway. Let’s take a look back at all the ways you’ve nurtured others over yourself in past (and maybe even current) relationships. It’s time to switch it up, Waterlily. Venus retrograde is going to shine a harsh light on your neglected self-care game, so use this month to refocus on what’s really important. You! If you’re feeling lost, harness the energies of the full moon in Taurus on the 24th. 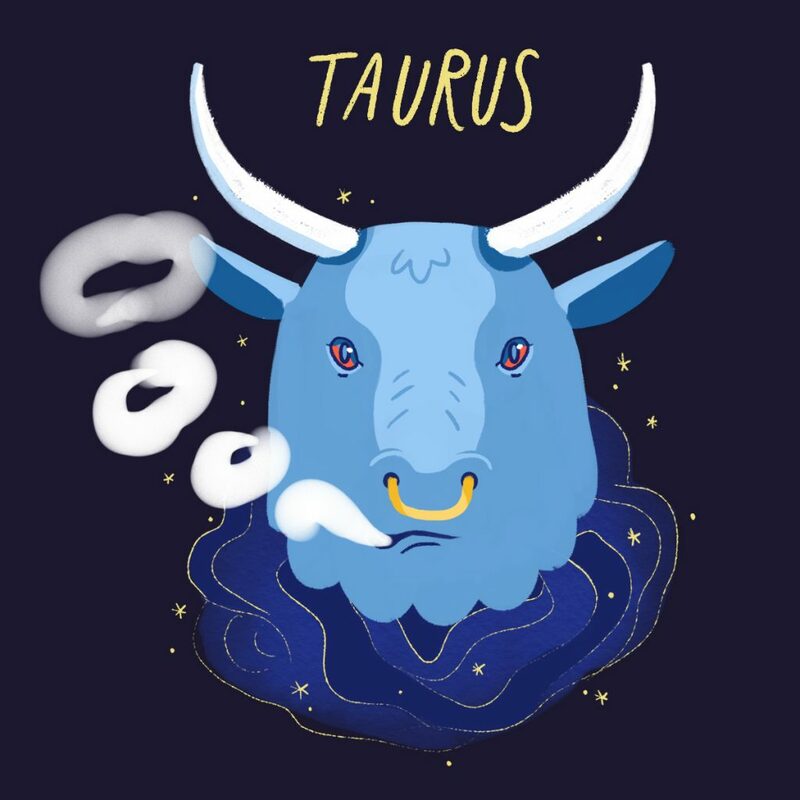 You can’t beat those sensuous, self-indulgent Taurus vibes when it comes to self-love and celebration. 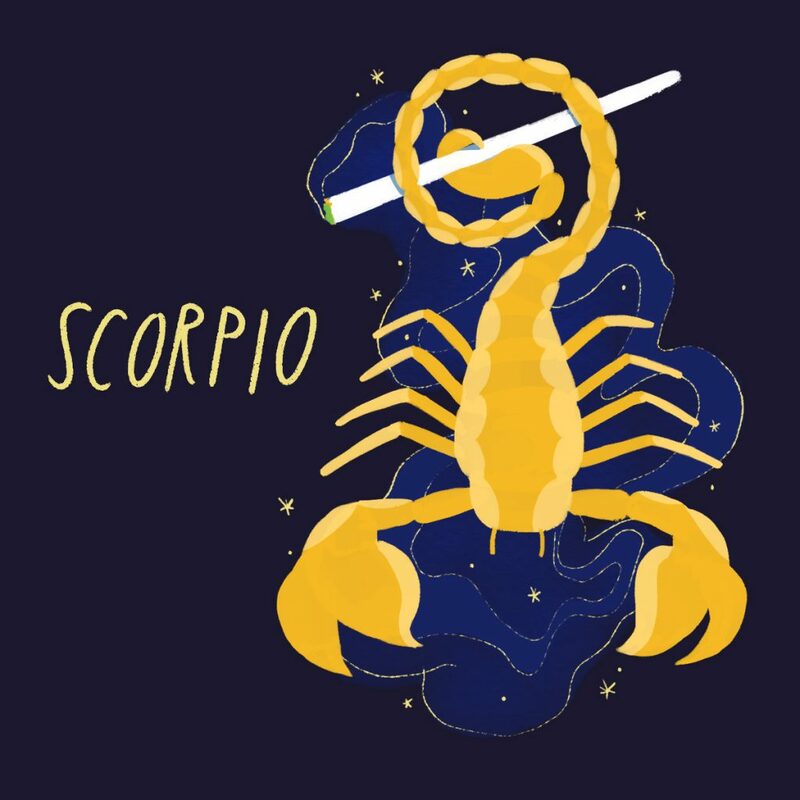 October Strain: Self-love is of the essence this month, crabby one. Treat yourself to a luxurious smoke and get thee to the soaking tub stat! Offer October prayers to Green Goddess, an indica-dominant hybrid with luscious notes of rose and ruby red grapefruit which produces a focused, tingly euphoria that inspires—what else?—the feeling to go love yourself. Enjoy! Beware of your ego this month, kitten, because it could get badly bruised. 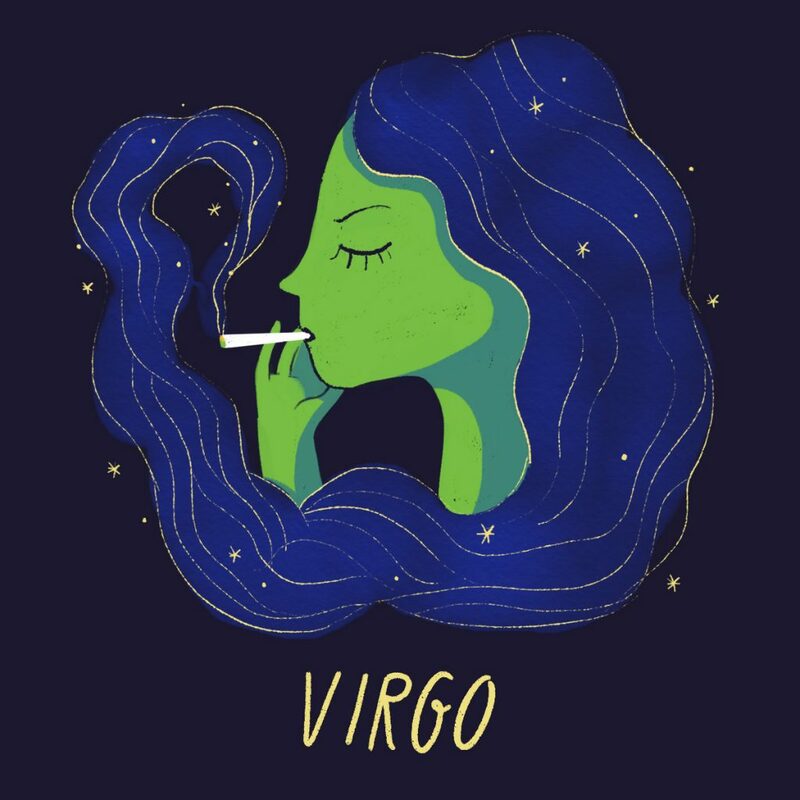 Venus stationing retrograde on October 5th could see you facing some tough truths about yourself and others, or more specifically, ways you’ve put yourself above/before others that have really only served, well, you. With Libra season, it’s all about how we relate and communicate in harmony with one another. Venus in watery Scorpio means wounds could be opened, and in retrograde re-opened. 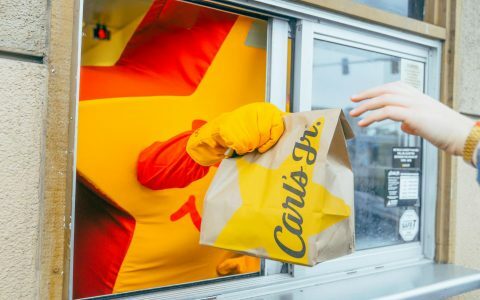 Are you really a star without an audience? Think about respect and inclusion this month. We’re all connected, after all. 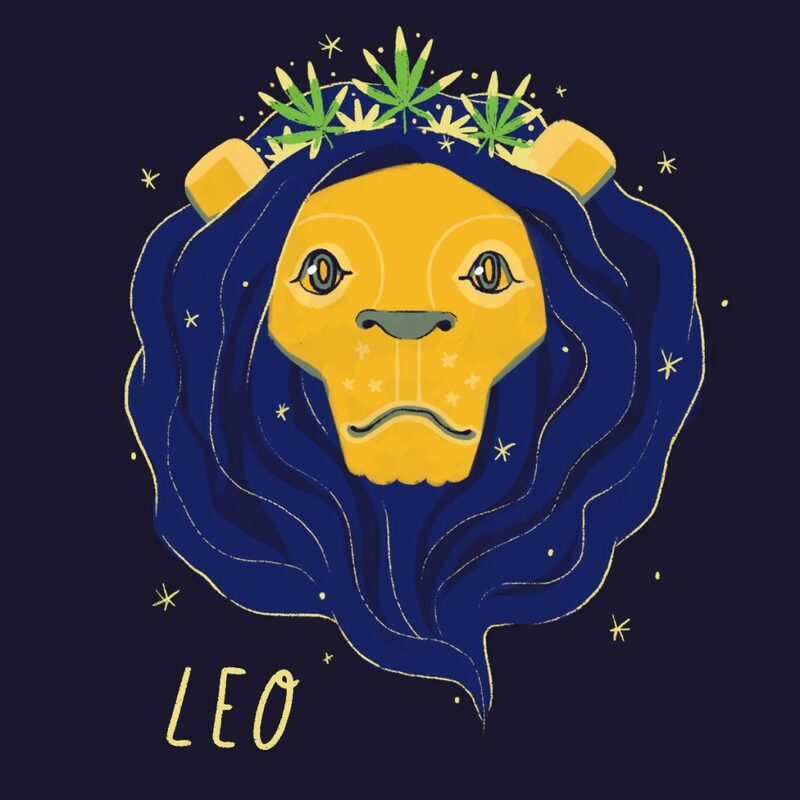 October Strain: Heed the immortal words of Ice Cube and contain that urge to roar, because now more than ever you need to “check yourself, before you wreck yourself.” If not, your relationships may be damaged and you can end up with one big paw in your mouth. You’ve got the ego of a king and keeping it in check is a challenge. Indica Vanilla Kush is up to the task. Packing a wallop and regularly coming in with THC counts over 20%, this is the strain to chill you out and harmonize your purr for the tough month ahead. Let’s be real. 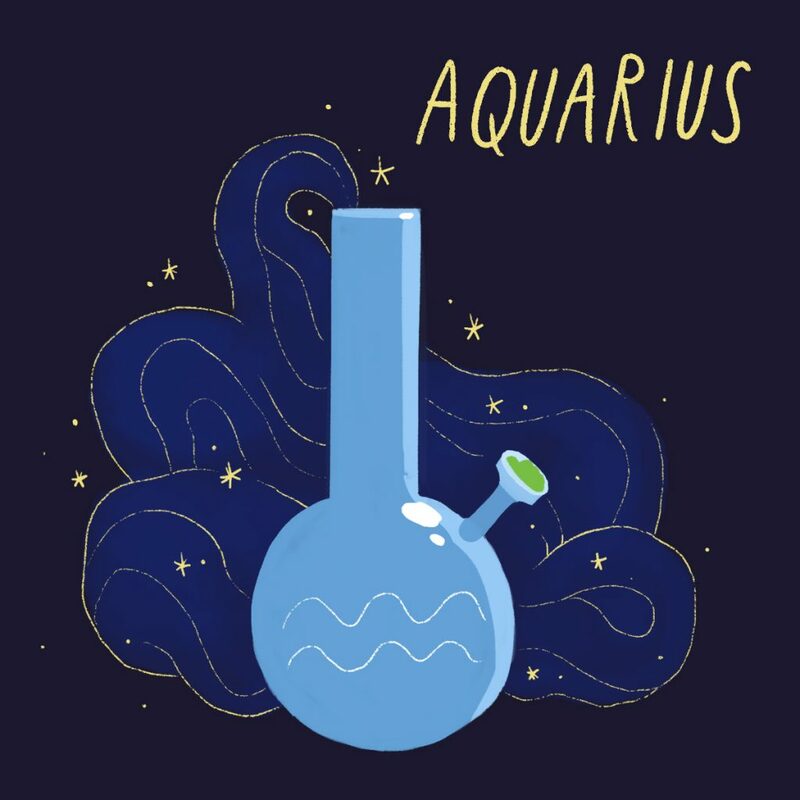 You’re a little spun out now that your season has ended and flirty, bubbly Libra has very dramatically taken center stage. That’s okay. There’s going to be plenty to keep your overly-analytical mind busy this month with Venus stationing retrograde. We recommend turning that magnifying glass inward and looking for ways to redirect and reform your more anxious and nervous tendencies. When you turn that energy outward, it frequently manifests as judgment and criticism, and honestly, you should know better. 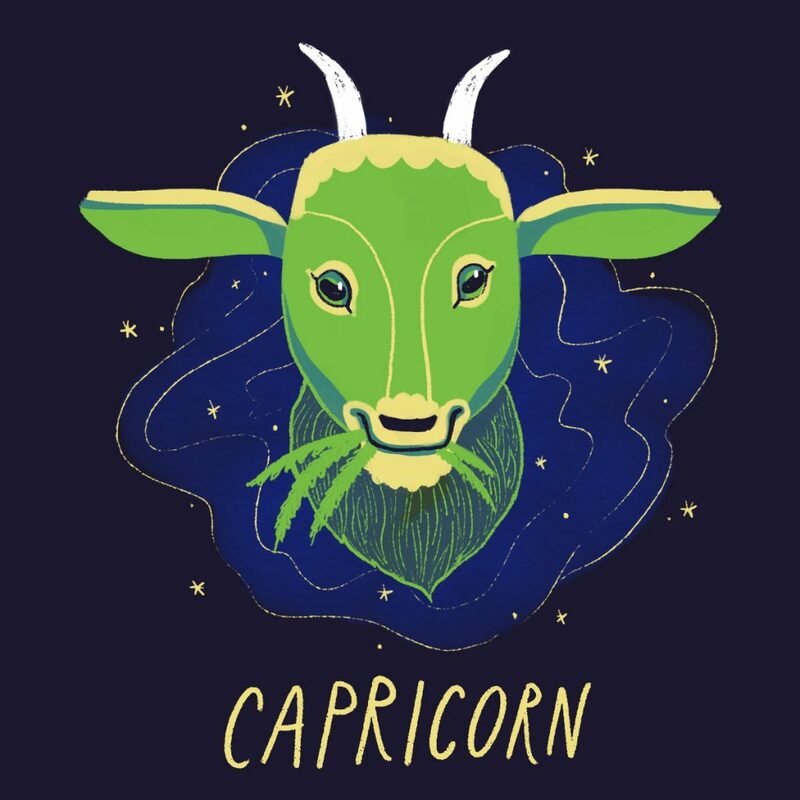 You may feel a little out of your element in general this month, but luckily the full moon on October 24th in fellow earth sign Taurus should help you ground into some important lessons and assist you in moving into November with a little more peace and grace. October Strain: With its mellow body high and effects that include uplifted relaxation (see: keeping your overly active mind contained, above), talkativeness, euphoria, and arousal (see: redirect and reform your nervous tendencies, above) there is no better smokable treatment for what ails the Virgin sign this month than Purple Princess. A popular hybrid of Cinderella 99 and Ice Princess, this sweetly pungent smoke is just right for your Libra season comedown.